How did you get started as a professional Santa Claus? I started with a designer beard and wig at the request of a photographer friend doing photos with pets at PetSmart and had such a good experience that I decided to grow out my hair and beard for the next season - was blessed that both came out white! What do you believe sets you apart from other Santas? I wanted to be the most professional Santa I could be, so in 2007 I enrolled in a Santa school and over the next 3 years earned my Masters of Santaoligy. I also joined AORBS in 2007 (which has evolved into IBRBS) where I served on the Board of Directors. I’m a founding member of the Florida Palm Tree Santas and The Santa Claus Drill Team. What does your busy season look like and what events do you typically get booked for? I typically do 30 to 40 appearances during the Christmas Season. These include events for the City of Tampa, Corporate Parties, Community Events, and most enjoyable Home Visits. What is the most rewarding part of being Santa Claus? By carrying on the character of Santa Claus I help create happiness, spread love and make fantasies come to life in the true and sincere tradition of the Santa Claus Legend. Although Tampa Santa is new to GigMasters, he has booked some fun gigs throughout his career! He has appeared at The Museum of Science & Industry, West Park Village Shopping, Hard Rock Cafe Employee’s Christmas Party, and the Tampa Bay Lightning Hockey Team's Christmas Party. 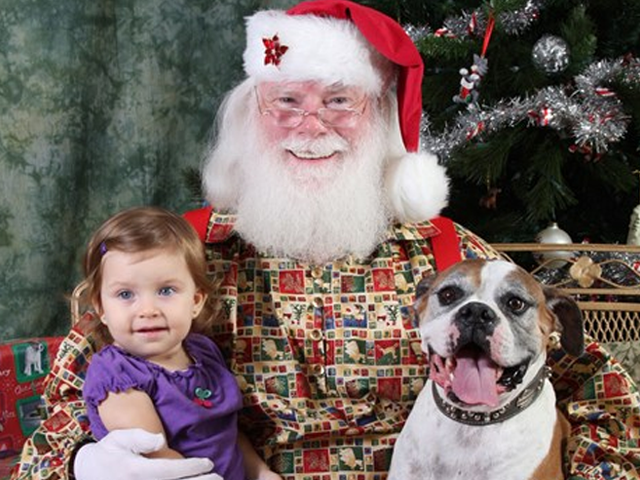 Tampa Santa has also been booked for several community holiday events throughout the area. Congratulations to Tampa Santa Jim Williams on winning our Summer Sale Prize Package and here's to a busy 2018 holiday season!